4 inch Cricket Ball Trophies . 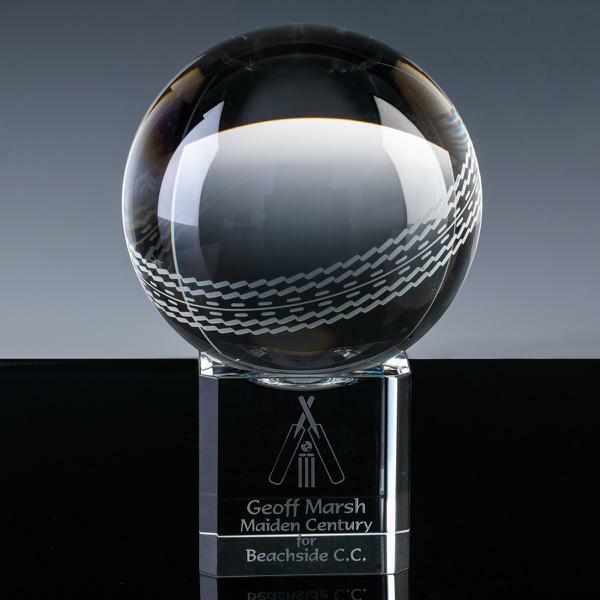 Beautiful 4 inch Optical Crystal Cricket Ball Trophy. on matching Glass Stand. Great award for Player of the Year, Bowler of the Year, Batsman of the Year. Engraved with your club badge, your text and/or logo, this is a very special Cricket Ball Trophy for all Cricketing occasions.